After the hard fork last week at block 543,000 that enabled Ignis lightweight contracts on mainnet, Ardor 2.2.2 was released yesterday, 15 January 2019, with yet more features and optimizations. It’s time to put this amazing feature to work! For an introduction to block generation and forging on Ardor, see the forging Tutorial at the Ardor Learning Hub. Nxt uses a similar mechanism. The new forging reward contract works like this: the forging reward contract wakes up every 10 blocks, picks one of the generators of the last 10 blocks at random, and sends this account a 12 Ignis reward (minus transaction fee). This behavior is fully configurable by the contract runner. You can watch this in action by opening account @RewardGenerator in the Ardor client wallet (ARDOR-FGET-YXM3-USHQ-2SPC9). The contract rewards both Ardor forgers on the local node and Nxt forgers running on a remote node. The latter is a fine example of an Oracle contract! Forgers who wish to opt-out from this reward program can set the account property NoForgingReward on their account. We strongly recommend large forgers to opt-out to incentivize small accounts to forge. This helps optimize network security by encouraging a larger total active stake. That said, the reward is available to everyone by default. 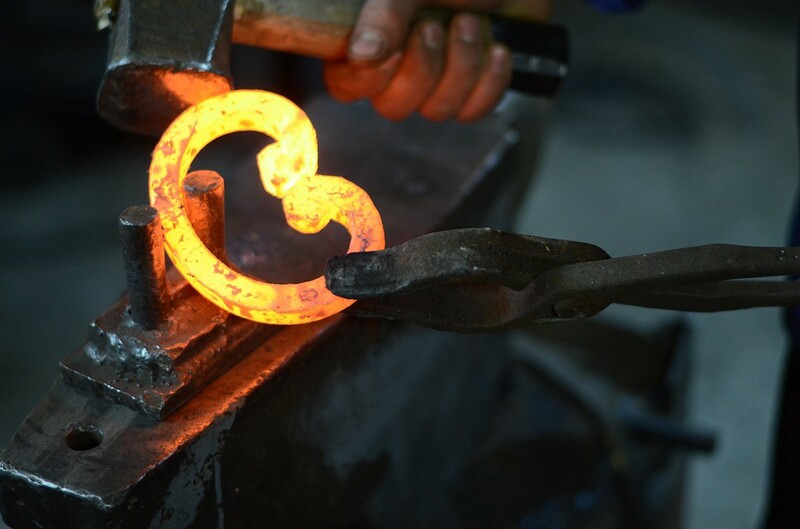 The forging reward contract is now deployed as Ignis transaction e494b3143ce2ad96cc59d9f2ebd76ac019edd79e52099e279436e97d2633c16e and a contract reference from account ARDOR-FGET-YXM3-USHQ-2SPC9 defines its setup parameters. 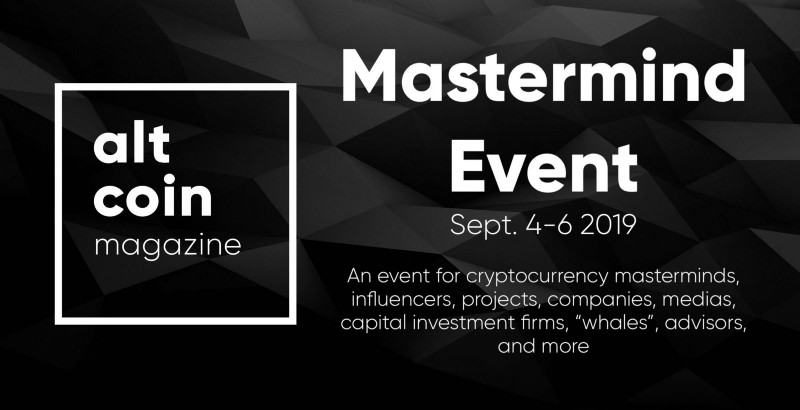 The actual reward calculations are performed by the DistributedRandomNumberGenerator contract invoked from the main contract. Contract source code is included in the product installation. The new forging reward program is sponsored by Jelurida. Enjoy! Jelurida reserves the right to make changes to this reward program as market conditions evolve. 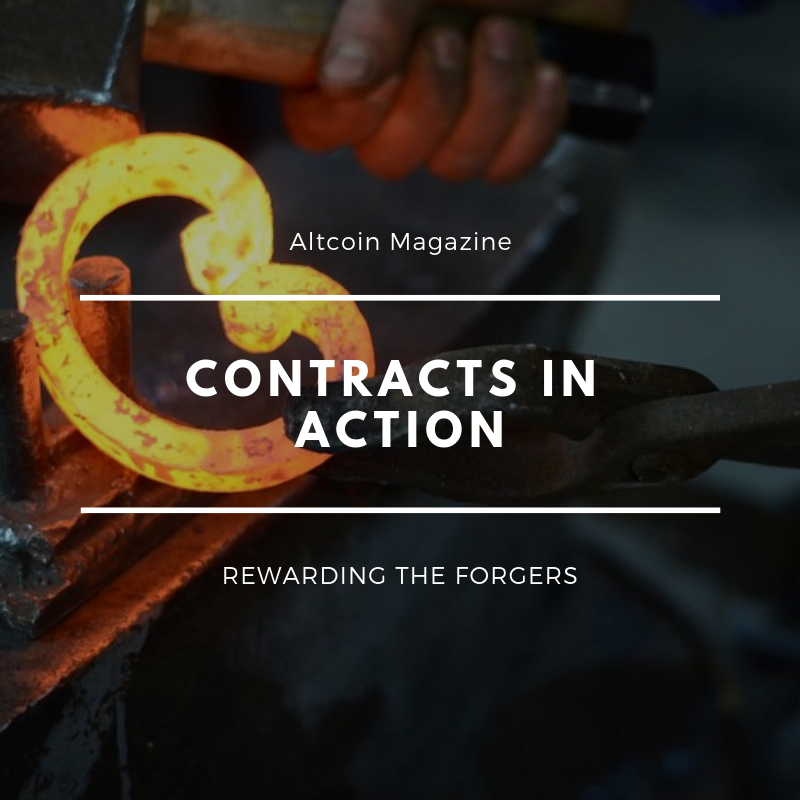 Contracts in Action - Rewarding the Forgers was originally published in ALTCOIN MAGAZINE on Medium, where people are continuing the conversation by highlighting and responding to this story.